Giovan Battista Biscarra was born in Nizza Marittima on February 22nd 1790 (though the plaque on the frame reports the year 1770) and dies in Turin on April 13th 1851. 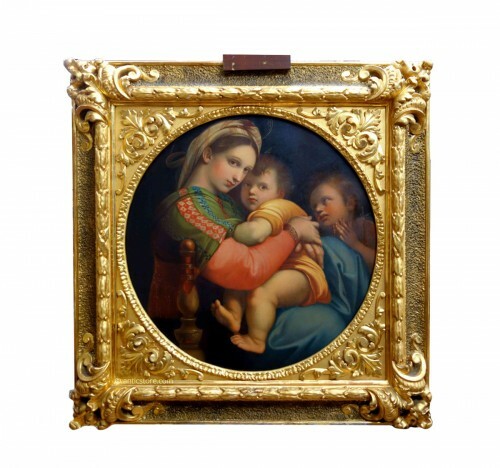 At a young age he leaves Turin for Florence, where he studied at the Academy under the supervision of Pietro Benvenuti, which will influence his first years as a Neoclassical painter. His first painting is this one, known as The prodigal son piange his mistakes. In 1815 he goes to Rome and enter the Accademia di San Luca, where he becomes part of the Neoclassical circle of painters and sculptors such as Canova, Thorvaldsen, Tenerani and Camuccini. 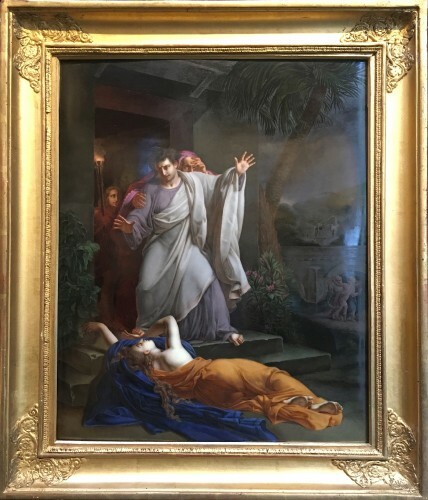 His painting of Cain’s regret , dating 1817 or 1818, has a great success and is now in Galleria Sabauda in Turin. 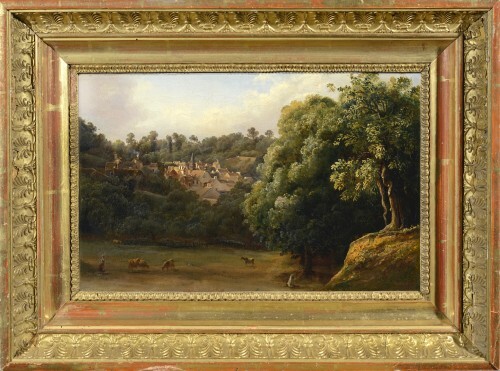 In 1821 he moves to Turin. Here he is appointed director of the Accademia del nudo, later Accademia di Belle Arti. 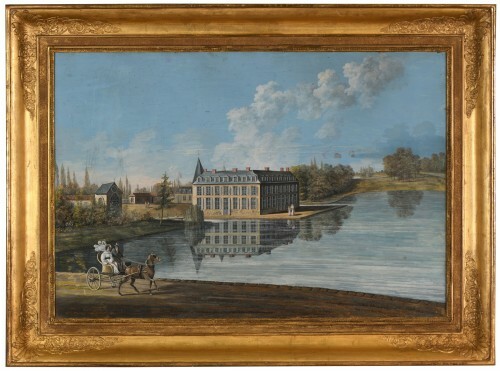 From this period he is influenced by the Romanticism and concentrates his interest on historical subjects, mainly related to the Savoy family, today in the main collections in Turin, along with the more Purist religious subjects also in churches around Piedmont. He was also sculptor and the first to use lithography in Piedmont. Also known some portraits, including two self portraits, in Uffizi and Galleria Civica d’arte moderna in Milan. He was amongst the founder of Societa’ promotrice di Belle Arti, in 1842, and that explains the presence of his first work , in the celebrations for the 50th anniversary, under the entry number 18, at the time, belonging to Marquis Thaon de Revel di Sant’Andre’, as shown in the old paper label at the back of our painting.